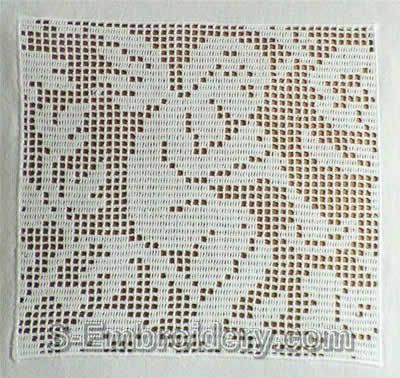 A set of 3 freestanding lace crochet angel squares that will make nice decorations for pillow cases, curtains and other embroidery projects. 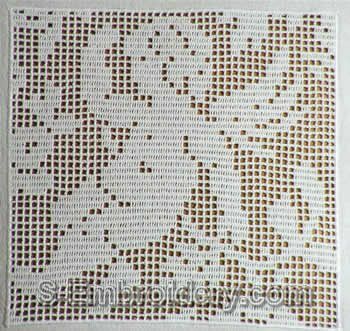 The machine embroidery designs are available in DST format only. Notes: 1. 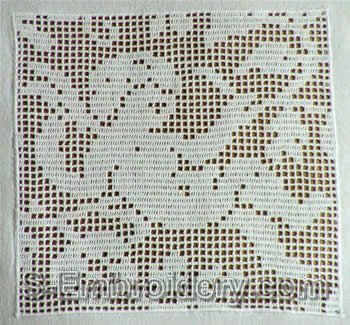 The designs are available separately as well. 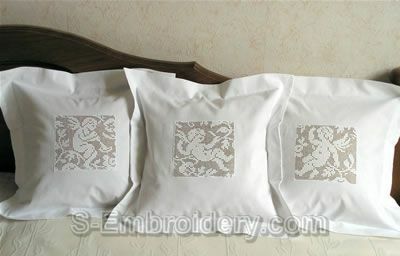 Our delivery includes information file(s) in PDF format and 3 machine embroidery files.